When dating Latin women, especially Barranquilla girls, it pays well to understand the history of Barranquilla and its culture first. 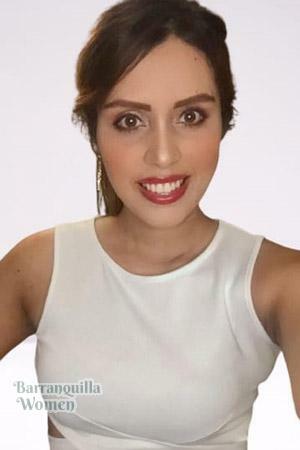 Being familiar with Barranquilla’s culture and traditions will help you understand its dating culture better, especially if you want to marry a beautiful Latina. Known as the Golden Gate of Colombia, Barranquilla is a prosperous port city in northern Colombia. It serves as the country’s gateway to goods, passengers, and modern technology. Bordered by the Caribbean Sea in the north and the Magdalena River, it is an important transportation and business hub in the country. Aviation and maritime transportation are important to Barranquilla's economy. In the late 19th to early 20th centuries, the opening of seaports caused an economic boom in Barranquilla, and foreign immigrants began settling in the city. Barranquilla became the fastest growing city in Colombia during this time and was dubbed 'The Golden Gate of Colombia' by President Marco Fidel Suarez. Barranquilla is considered the capital of the Colombian Caribbean. It is a pioneering industrial, educational, cultural, and economic region in Colombia. It is the first Colombian city with installed water pipelines, electricity, and air transportation. Latin America’s first airport and the world’s second oldest commercial airlines (now called Avianca) was also founded in Barranquilla. Colombia's first commercial radio station was also established here. It is the capital city of the Atlantico department and is the fourth largest city in Colombia after Bogota, Medellin, and Cali. 'Barranquilla' derived its name from barrancas -- steep gullies created on the banks of the Magdalena river. It is also called ‘La Arenosa’ or The Sandy City by locals because of its sandy beaches and riverbanks. The history of Barranquilla’s original inhabitants is mysterious and intriguing. According to various sources, the first settlers in Barranquilla were farmers from neighboring lands traveling with their herds along the Magdalena river in search of greener pastures. Another source claims that it was first inhabited by the Kamash Indians, thought to be the ancestors of people whose surname is Camacho. It was also chronicled as a landing port for Santa Marta’s Indian traders. In the 1500s, it became an encomienda under Captain Domingo Santa Cruz in exchange for excellent military performance. An encomienda is a piece of land awarded by the Spanish crown to colonists, granting access to forced labor from locals. The encomienda disappeared in 1559 and was transferred under señora Ana Ximénez’s rulership, the captain’s widow. Its origins as an encomienda under Spanish rule contributed to the Catholic religious culture in Barranquilla, which not only accounts for the city’s beautiful vintage-style churches, but also influences Barranquilla dating and marriage customs. Shortly thereafter, the encomienda was forcibly stolen by Don Pedro de Barrios I, an encomendero from nearby Galapa. Throughout the 1600s, it became an estate under the leadership of Nicolás de Barros y de la Guerra, great-grandson of Don Pedro de Barros, and was called San Nicolas de Tolentino estate. He allowed his laborers to build their own houses and support their families. After his death, people from Malambo and Galapa were allowed to live there. Their population increased and in 1681, it was considered a town and called Barrancas de San Nicolas. The town successfully resisted repeated attacks from invaders throughout the 1800s, alongside commercial and maritime advancements. On April 7, 1813 -- commemorated as ‘Barranquilla Day’ -- the town was officially called ‘Barranquilla’ in recognition of the townspeople’s patriotism and valor. Although it is an open city welcoming to various cultures, Barranquilla natives are intensely proud of their history, traditions, and hard-won freedom. It became increasingly recognized as an important trading, military, and political post and was elevated to ‘Ciudad’ -- city -- status in 1857. Throughout the 1900s, Barranquilla opened its seaports with the introduction of steam navigation, which paved the way for economic growth and foreign immigrants. The influx of new people and cultures contributed to Barranquilla’s cultural heritage and economic prosperity. Not only that, but the diverse mix of Barranquilla’s ethnicities makes for the exotic features of Latin women. Many travelers cannot forget the alluring beauty of Barranquilla singles that are unlike no other. Barranquilla has a vibrant cultural and historical heritage; it is a melting pot of various cultural influences. 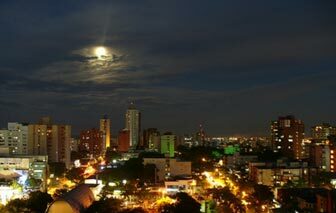 A harmony of coastal charm meets high-end modernity, Barranquilla is an eclectic mix of old world vibe and urban flair. It is famous for its annual Carnaval de Barranquilla, vintage architecture, and excellent nightlife. 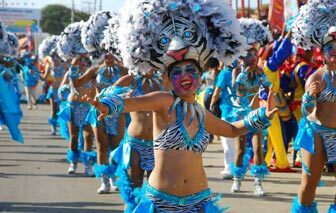 Carnaval de Barranquilla is a four-day long festival featuring Caribbean music, dancing, parades, food, art shows and exhibits, story-telling, and non-stop partying. The Carnaval is a celebration of the local legends, folklore, mythological beings, heroes, food, music, and traditions -- it is Barranquilla’s cultural spirit. The Carnaval is one of the grandest parades in Latin America, and people from all over the world visit to participate in this spectacle. So grand and vivacious, it was declared as a national cultural heritage by UNESCO in 2003. Barranquilla also has a flourishing arts and culture scene known worldwide. In fact, many notable cultural personalities hail from Barranquilla, such as the pop singer and dancer Shakira and the Hollywood actress Sofia Vergara. The city is also known for the Grupo de Barranquilla, a circle of writers, journalists, poets, and intellectuals, including the Nobel winning literary icon Gabriel Garcia Marquez. The city was an important influence in the creation of Marquez’s novels. Barranquilla is also a haven for Caribbean music. The city is also known for its excellent nightlife, with bars that offer great Caribbean food and music. Salsa music abounds in Barranquilla’s every street and corner, so be prepared to showcase your dance moves anytime! It’s all the more reason to familiarize yourself with Barranquilla’s culture, which will surely make your Barranquilla lady superbly impressed! In all, Barranquilla is a vibrant city of colorful festivals, fascinating history, and interesting people. It is also the home of stunning Latin women, as captivating as this picturesque city. Still, nothing beats a richer immersion in Barranquilla’s riveting landscape and culture than traveling around this beautiful city with a gorgeous Barranquilla date! Join our romance tours to get an opportunity to meet lovely Barranquilla women while touring the city. Register for FREE to browse through women’s profiles and book a romance tour with us. Our friendly staff will assist you in every step of the way to help you find the love of your life!